The #1 reason customers don't order a dessert is because they are too full. Ice cream contests the full factor because it is viewed as a lighter option. 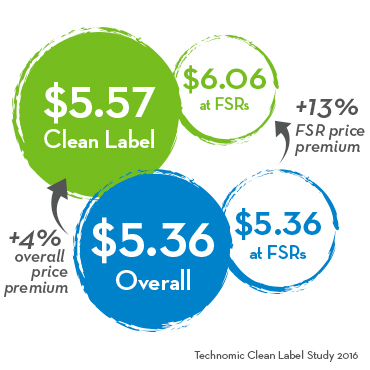 For restaurants, clean label commands a price premium and has an association of better tasting food. • The fastest growing clean keywords on restaurant menus are antibiotic-free (+64% Y-O-Y), hormone-free (+51%), and additive-free (+50%). • Millennials are driving the change. • 86% of consumers would like restaurants to be more transparent about what's in their menu items. • 42% of consumers assume clean claims positively impact an item's taste. As consumer demand for simpler ingredients is on the rise, Blue Bunny® Simple Scoops® will give your business a chefmanship association and drive premium price points by offering rich, smooth and creamy ice cream. No artificial flavors. No artificial colors. No high fructose corn syrup. Available in Vanilla and Vanilla Bean.